TRY THIS: go to your favorite orchard farm stand or nearby grocery store, and purchase a dozen New England apples. Choose at least four varieties. Quarter the apples and put in a deep saucepan with 1 cup apple cider or water. Cook until soft. Put through a food mill. Applesauce. Presto. Pure apple flavor, each batch a rare blend of sweet and tart resulting from the particular mix of varieties. No sugar needed. Maybe cinnamon (maybe not). Take note of the varieties, flavor, texture, and color. Repeat, using different varieties. One good variety to choose is Mutsu. It makes outstanding sauce and cider. Also known as Crispin, Mutsu has a sweet, light flavor when cooked, and holds its shape well. An excellent dessert apple, it is also especially good in salads. Mutsu is a late-season apple ranging in color from greenish to yellow, with an orange blush. Its firm, juicy flesh is creamy white to pale yellow. It can grow quite large (a pie made with Mutsus may require as few as three apples). 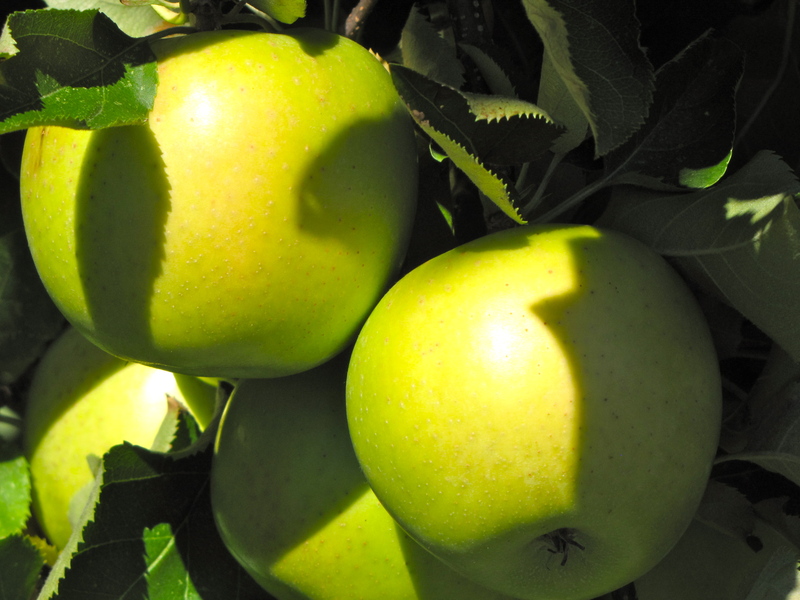 Mutsu has its origins in Japan, from a Golden Delicious crossed with an Indo, a Japanese seedling, in 1930. It was introduced in the United States in 1948. Our three-part series on apple pie begins Wednesday, November 3. To learn more about New England apple varieties, visit New England Apples.